Is your little one moving on from pureed delicacies and looking for a few tasty lumps to chew on? 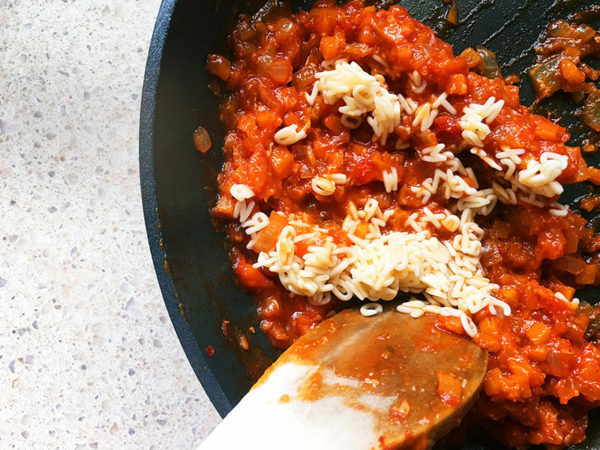 Try this tomato and cheese pasta dinner! 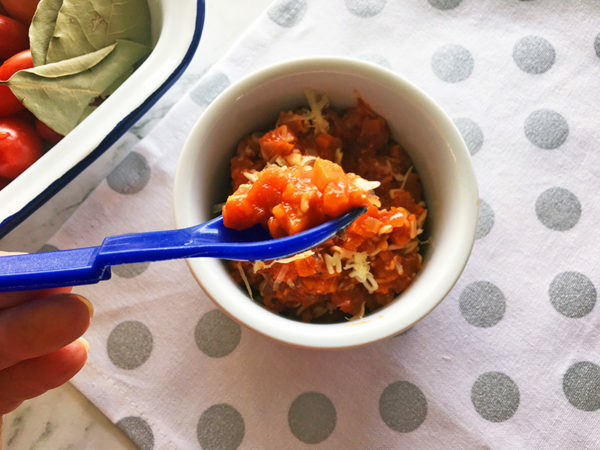 For babies aged around seven months who might only just be starting to explore lumps, puree the sauce and leave the morsels of soft pasta as the lumpy, chewy factor. 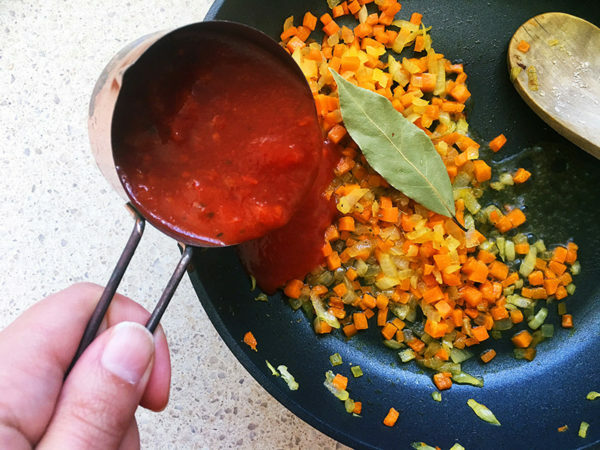 For older babies who eat with gusto, mash the sauce to the desired consistency and let them at it, it’s a mighty delicious dinner – and perfect with extra vegetables such as zucchini and pumpkin. 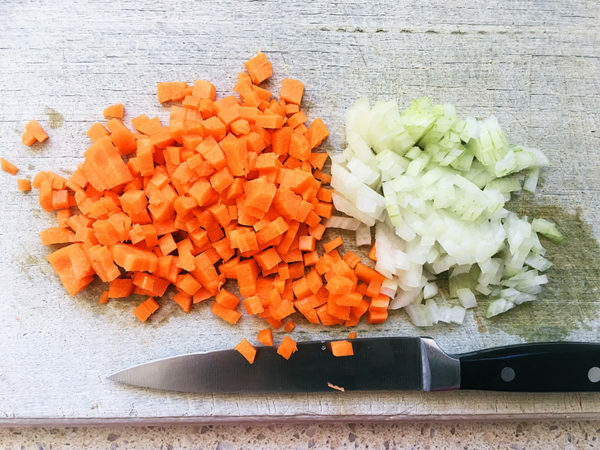 Peel the carrot and dice finely. Do the same for the onion half. 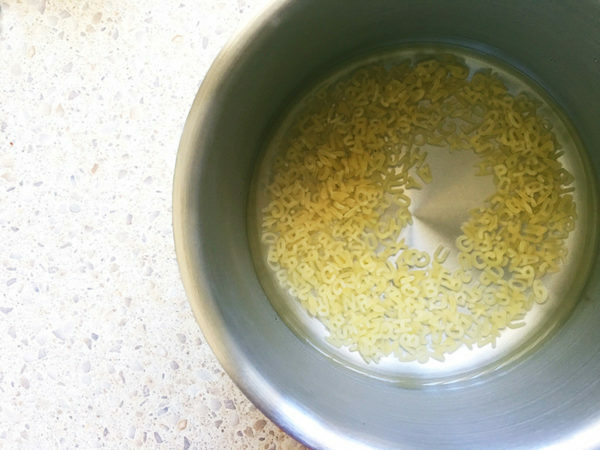 Tip the pasta shapes into a heatproof bowl and cover with boiling water, cover with a lid. These will cook while you make the sauce. Heat the oil in a small pan. 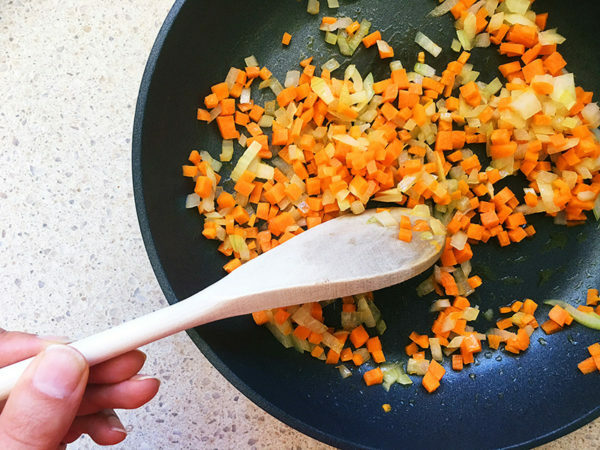 Lightly fry the onion and carrot until soft, around three to five minutes. Add the mixed herbs, bay leaf, tomato passata sauce and water to the pan. Cover and simmer for 10 minutes, stirring occasionally. Turn the heat off, add the cheese and stir through well. 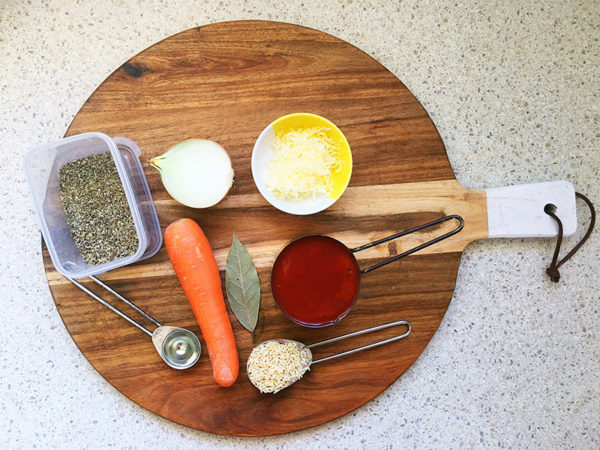 Remove the bay leaf. 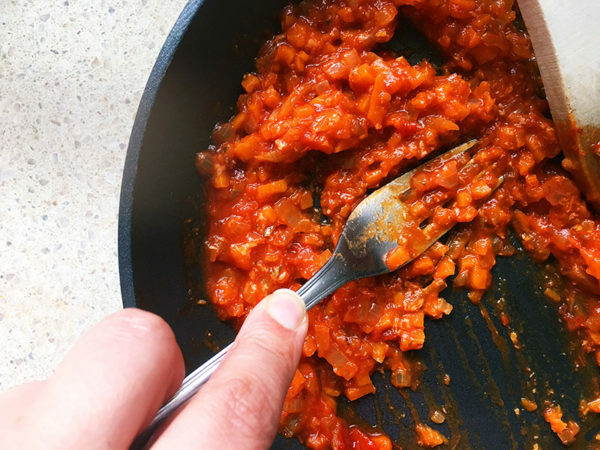 Puree or mash with the back of a fork to the desired consistency. Add water if you need to. Add the drained pasta shapes. Stir them through the sauce. 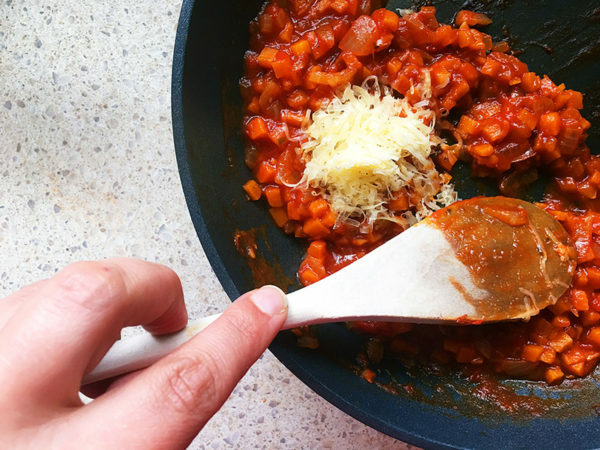 Top the pasta with a little extra cheese for an older baby and serve.